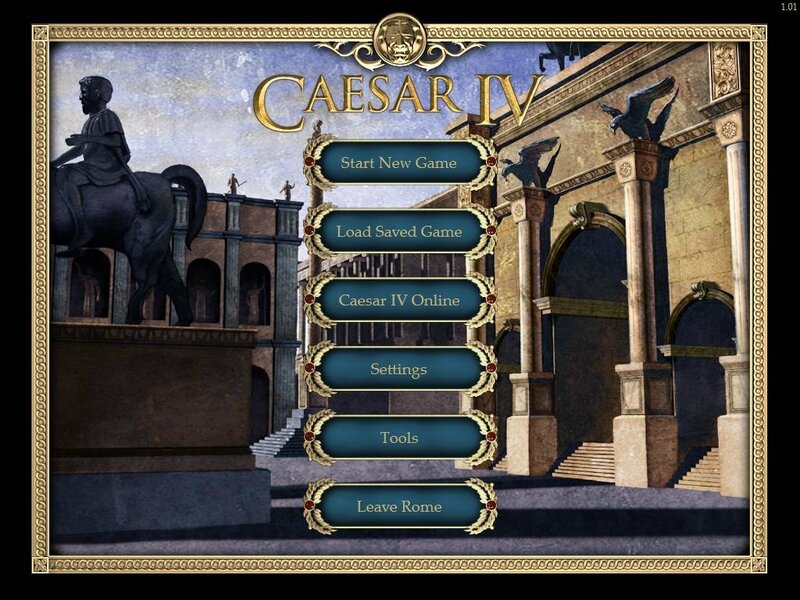 Most of the team at developer Tilted Mill worked at Impressions, which created the Caesar series. 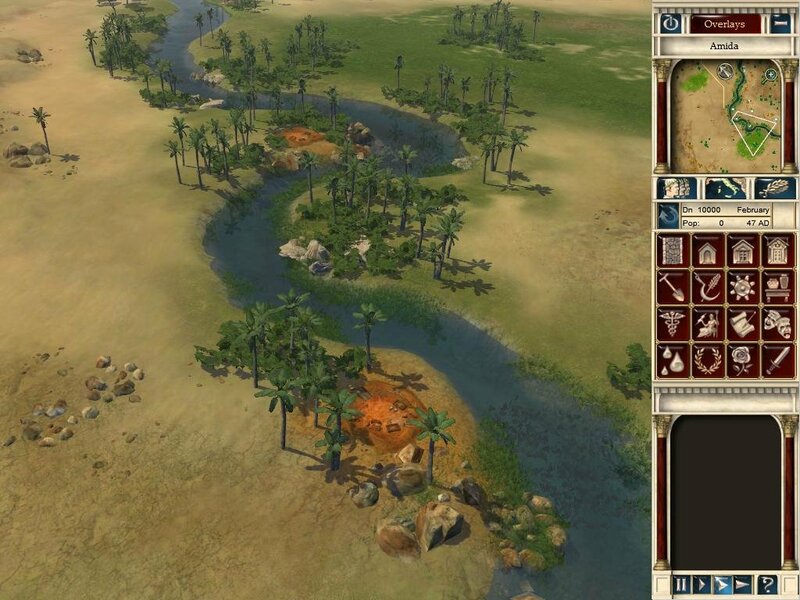 After producing the similar city builder Children of the Nile on its own, the developer returns to its original series with Caesar IV. 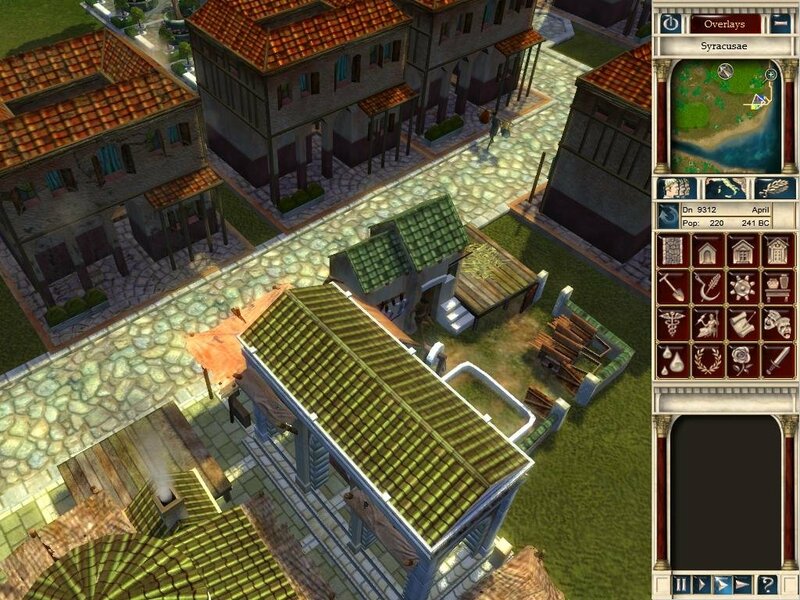 Caesar IV is a fairly typical city management game. You build up a Roman city, only this time it’s in full 3D. You create trade networks, fight off the occasional invasion, and keep those peons working. 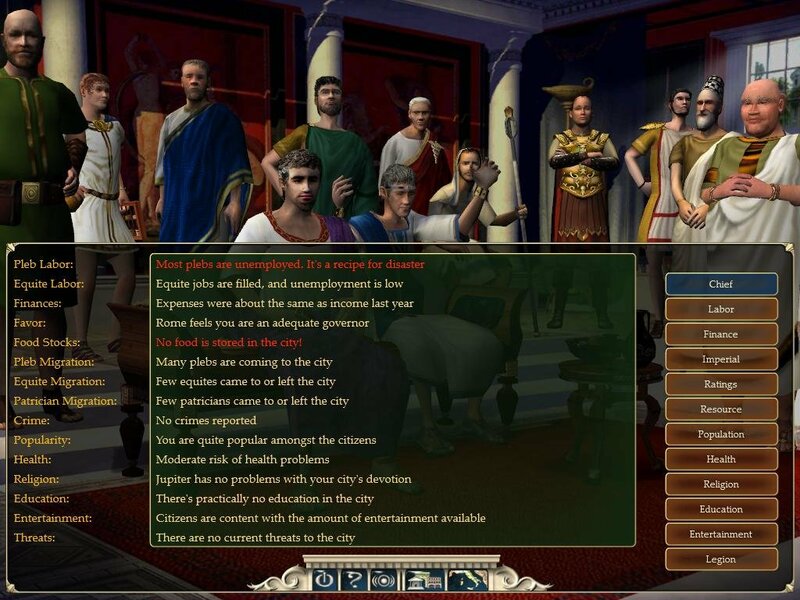 You’re rated in five categories, including culture (religion and entertainment), security (local police, firefighters, city defenses), prosperity (how much your citizens have upgraded their homes), favor (how well you’ve met Rome’s demands), and population. 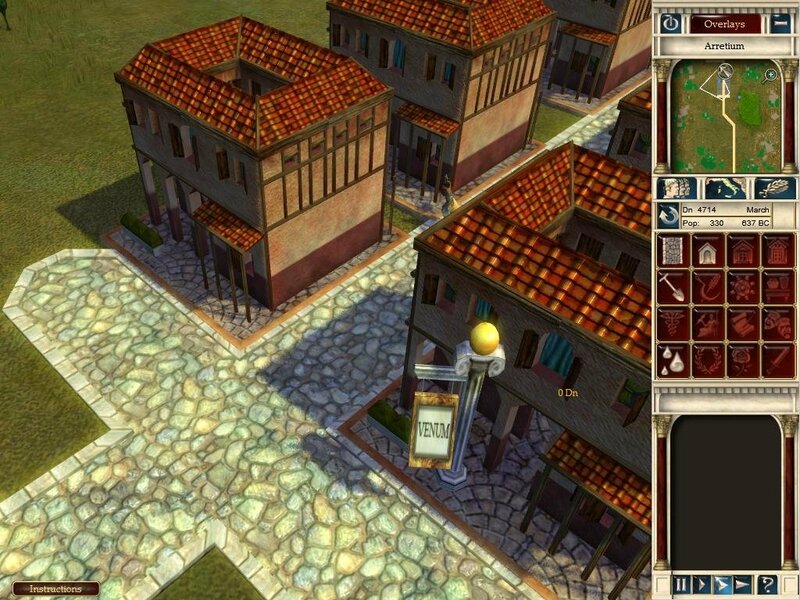 You also need to make money so you can expand your city, and keep your people happy so that they’ll continue moving it. 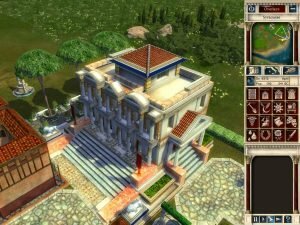 The real issue with Caesar IV is that it’s a bit too typical as a city builder, and is also hampered by a not so intuitive interface. Consider Rome’s demands. 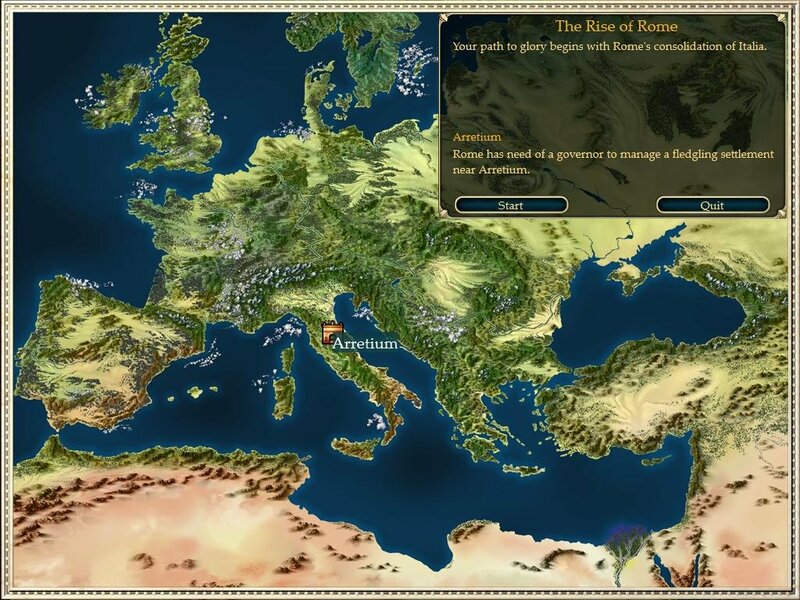 You’ll often get requests from Rome for certain resources. 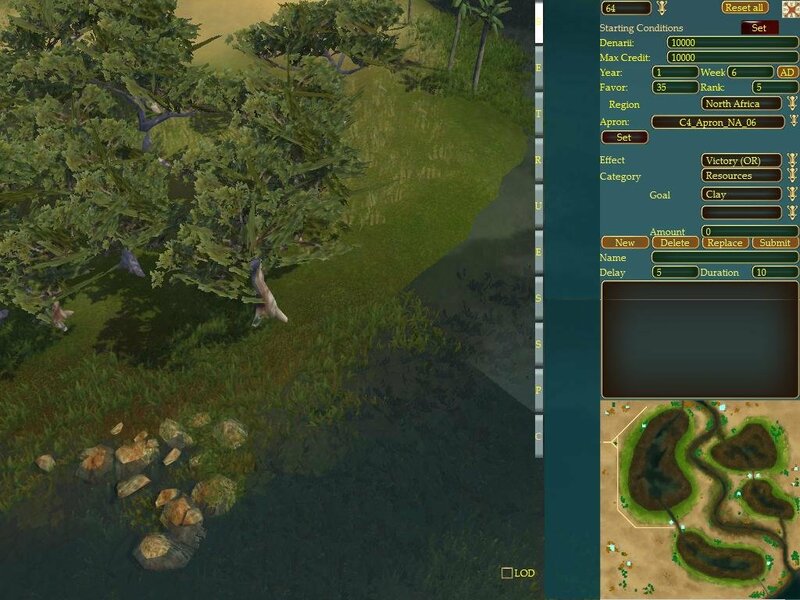 This is a good thing since it gives you mini-goals to work towards, but the interface for accessing and stockpiling resources takes far too much drilling through the cumbersome advisor’s menu. 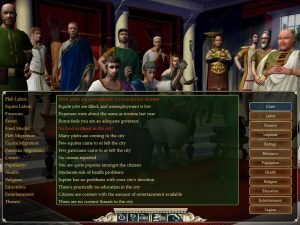 When you have to engage in the same sequence of click-click-click for every demand from Rome, well… it just gets annoying. General city construction is just as awkward. You have to go through at least two sub-menus until you find the building that you want to place, and then those menus just stay on the screen. The narrowed space that remains makes organizing new construction a serious pain; this is exacerbated by the need to use the menus constantly due to a lack of sufficient hotkeys. 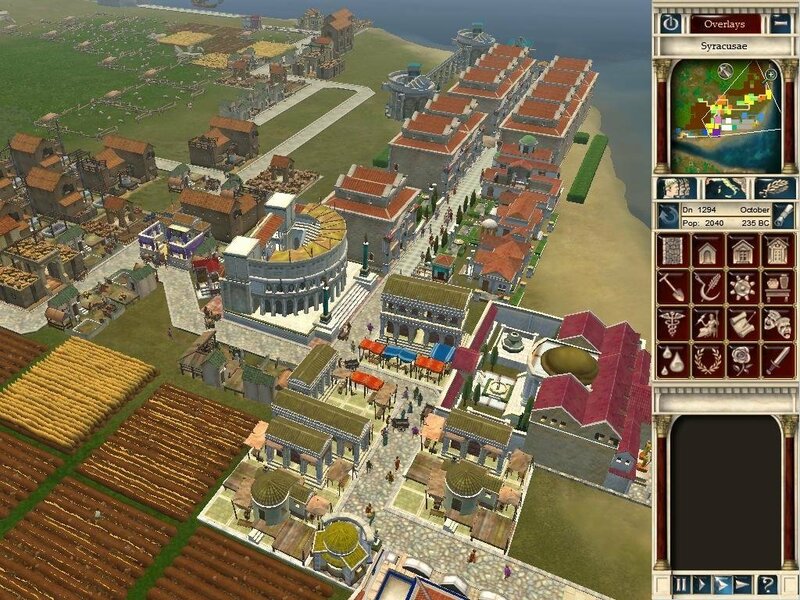 Moreover, unlike CivCity: Rome, citizens in Caesar IV look and move like faceless automatons. They shuffle to the wheat fields, shuffle to the granary, shuffle to the baths, and so on. There’s never a sense of interaction between the populace and infrastructure beyond the most abstract and mathematical contact. Understanding the general feel of your city is handled by a group of advisors, who summarize their needs with singular sound bytes. Moreover, the citizens themselves, for all their anonymous shuffling about, will verbalize their needs and desires — albeit only if you click on them individually. This is key, because the huge variety of production goods and constant demand for new and different services would be impossible to manage without a quality feedback system. 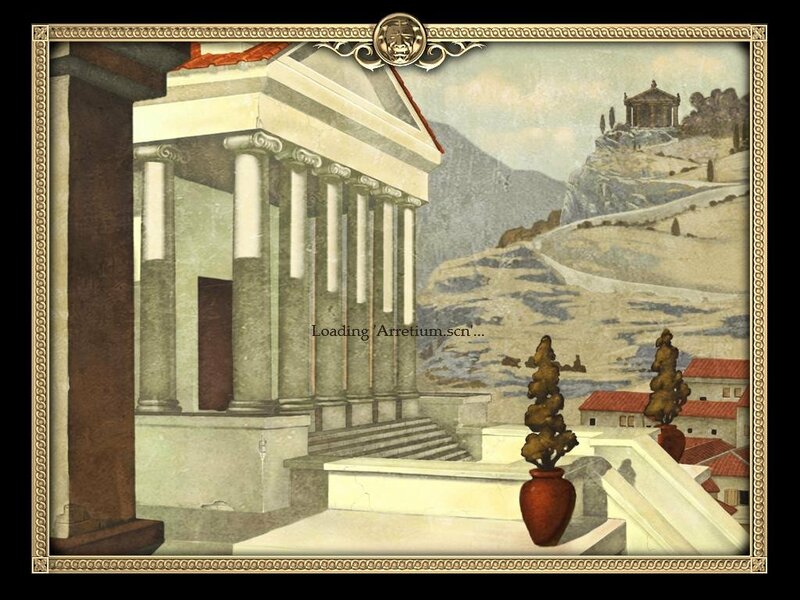 Finally, when your city has reached the point of self-sufficiency, you can simply zoom out and treat yourself to Caesar IV’s lovely vistas.